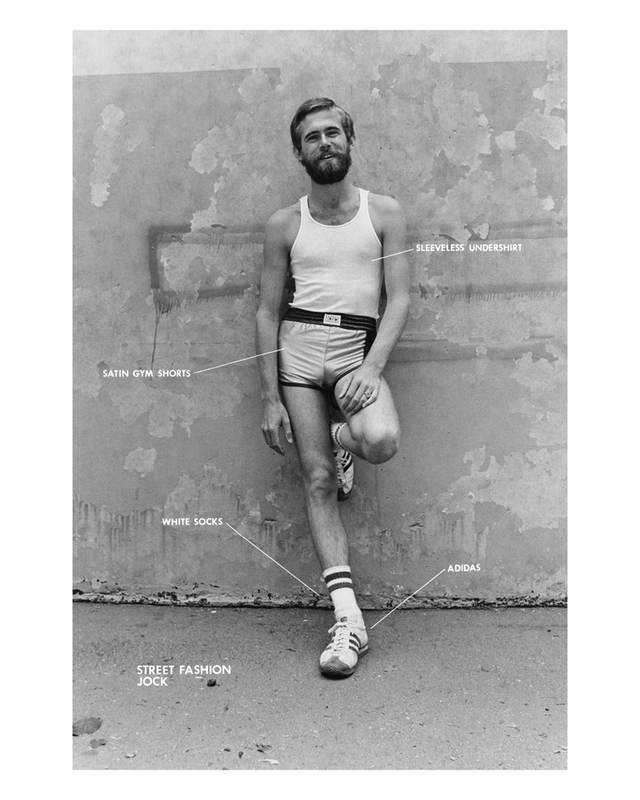 In 1977, San Francisco photographer Hal Fischer produced his photo-text project Gay Semiotics, a seminal examination of the “hanky code” used to signal sexual preferences of cruising gay men in the Castro district of San Francisco. Fischer’s pictures dissected the significance of colored bandanas worn in jeans pockets, as well as how the placement of keys and earrings might telegraph passive or active roles. He also photographed a series of “gay looks”—from hippie to leather to cowboy to jock—with text that pointed out key elements of queer street-style. For Aperture magazine #218, Spring 2015, “Queer,” art historian Julia Bryan-Wilson spoke with Fischer about the origins of Gay Semiotics and how it has aged, excerpted below. This article also appears in Issue 2 of the Aperture Photography App: click here to read more and download the free app. Julia Bryan-Wilson: You initially trained as a photographer at the University of Illinois. What brought you to the Bay Area, and what impact did that move have on your work? Hal Fischer: I came here for graduate school in photography at San Francisco State in 1975. I really wanted to study with Jack Fulton, but I didn’t want to pay the money to go to the Art Institute. I figured that I could probably work with him as long as I was here. After I moved to the Bay Area, two pivotal things happened. One was that I began writing for Artweek three months after I arrived, so I immediately got into the fray, so to speak. The second pivotal thing was meeting Lew Thomas [cofounder of NFS Press]. That was incredibly critical. JBW: What strikes me now about Gay Semiotics is how conceptual it is, how important the photo-text relationship is. HF: When I applied to State, I applied with traditional photography, gelatin-silver prints mainly of the landscape. Then I got out here, and the first thing I started doing was crazy alternative work, predominantly 20-by-24-inch bleached prints with inked-on text and diagrammatic drawings. But I met Lew through my writing, because I reviewed a show of his, and he was at the center of a movement focused on connecting photography and language. JBW: What was the Bay Area like in terms of a photography scene in the mid to late 1970s? HF: There was a huge discourse here. You’d have an opening, and there would be two hundred people there. People talked about photography. They were really interested, and it was passionate. JBW: In your bibliography for Gay Semiotics, you cite Walter Benjamin, but not Roland Barthes. Who else were you influenced by? HF: I did read some Roland Barthes, but it’s almost like I read just enough. The signifiers were the first pictures to come out of this thinking. It was like, Oh my God, these handkerchiefs . . . this is exactly what they are writing about. Of course, that made for five pictures, and then I had to figure something out from there. HF: Yes. It’s also about personal desire; it’s a lexicon of attraction.